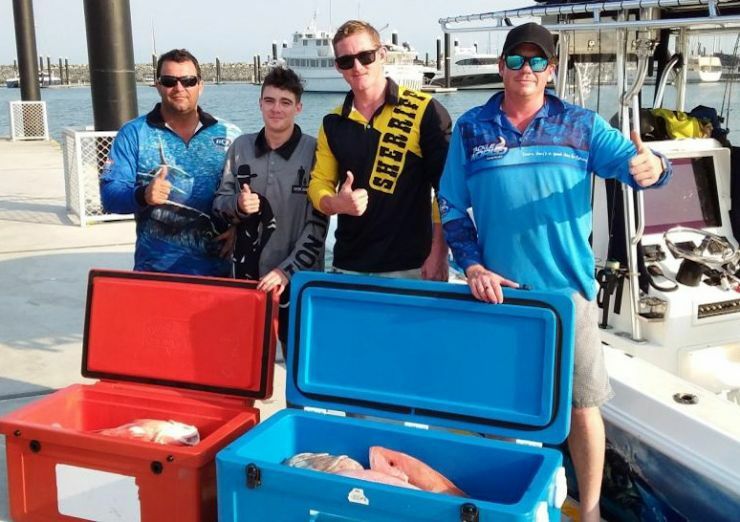 On November the 17th and 18th, six lucky patrons along with two staff members from Taylors Hotel in Mackay enjoyed a day out on the water aboard Lone Wolf II with Action Charters. On Saturday the weather started off a bit on the bumpy side but eased off during the day allowing for maximum time working the wide marks of the shipping channel. By the end of the day, the large esky was overflowing with large mouth Nannygai and Red Emperor. 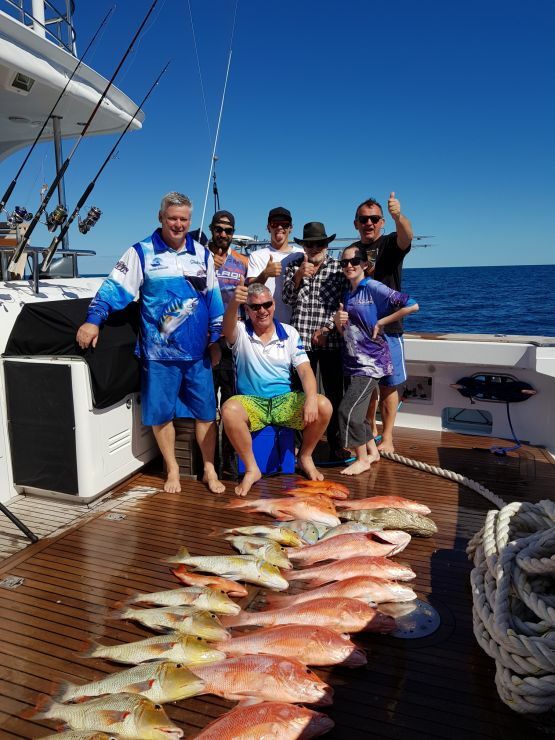 Sunday proved a bit more of a challenge for some of the crew and while the first hour of fishing out wide had Nannygai, Emperor and Coral Trout on ice, the rock and roll had Woody and Zane feeling a little under the weather so we retreated to the protection of the Cumberland Islands. 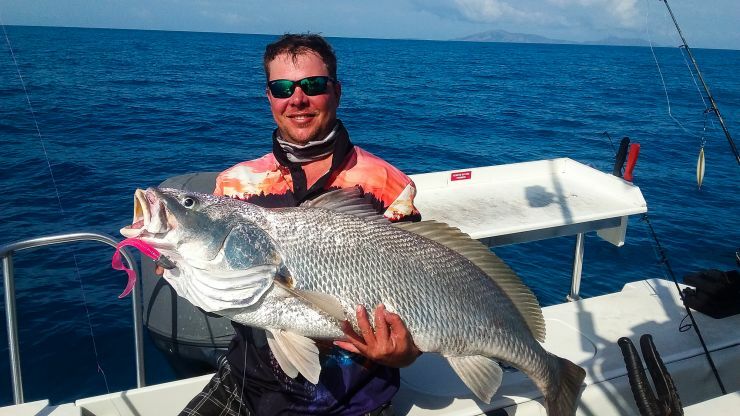 This didn’t stop the fisingh and a couple of drifts had the guys getting their arms stretched on large Trevally. Being a lefty, Gavin had brought his own rod and reel and I must admit it has been a while since I had seen anyone fishing with a Penn GT 320 spooled with monofilament line. 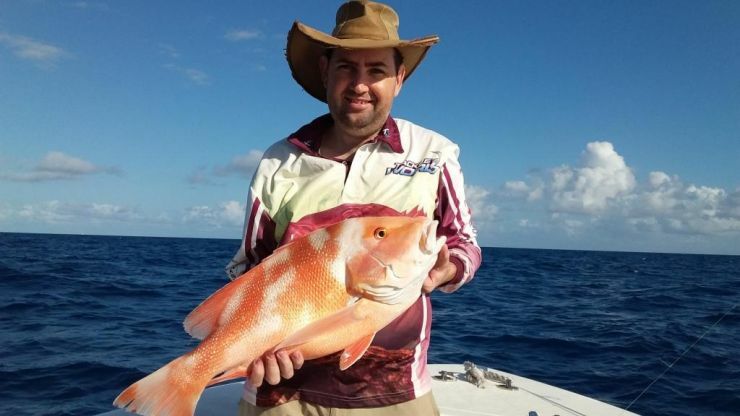 This didn’t hinder him though as he reeled in the largest fish of the weekend with a 20kg cod. The following words from the hotel manager highlighted the good time that was enjoyed by all. "I want to thank you for being able to fit both of these in on the same weekend. All of our winners were over the moon with the charter. 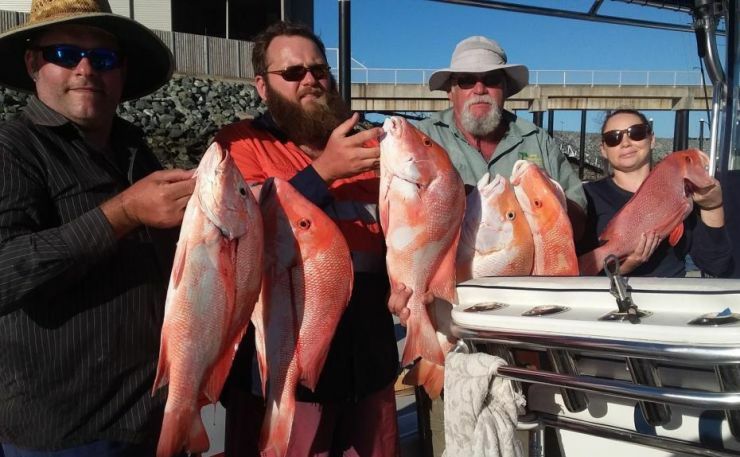 They were very impressed with the service they were provided on board and obviously loved the amount of fish they caught. 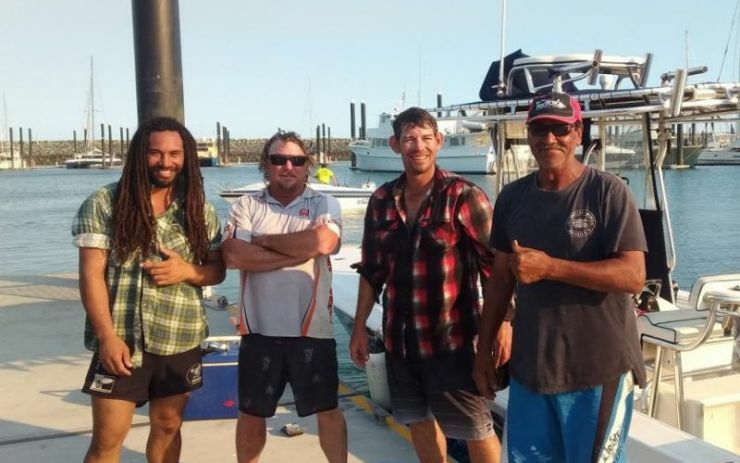 It’s all smiles here with stories of the fishing charters being the hot topic in the front bar. 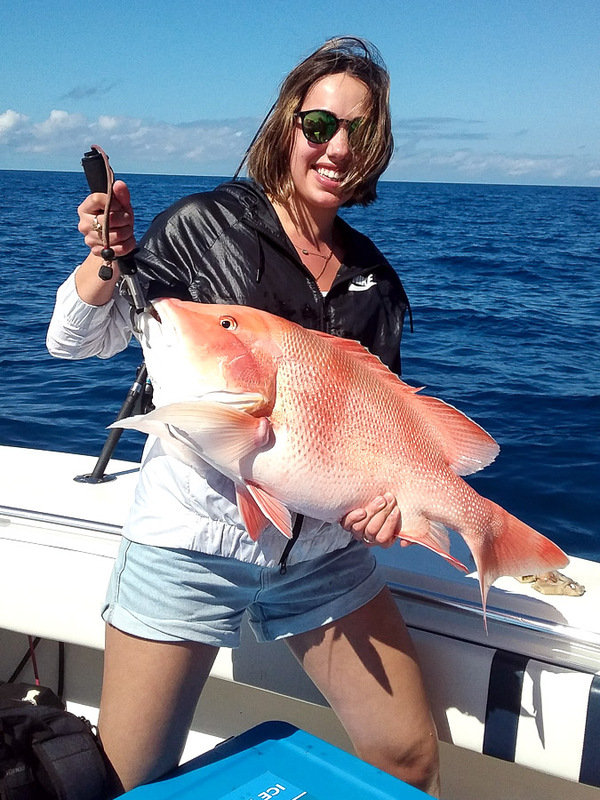 We will definitely be using Action Charters again for future fishing promotions."